Sunday, 7th September and the five superstars – it should have been six but Weaver cried off late in the morning of the event – arrived at the Attaching ground ready for a day of competitive cricket in the late summer sunshine. Langwadt had travelled with the S-Bahn and then on bicycle to arrive in good time and show exemplary attitude. We were able to borrow a player from Lufthansa to make up the team under the condition that he could not bowl as our first game – the first of the day – was against the top Lufthansa A team. Umpire Uday was being very officious and threatening to dock us points we never expected to get anyway if we didn`t hurry along. Captain for the day Alagh won the toss and chose to bat, opening with Konchada and Gaikwad who put on a quick 11 for the first wicket before Gaikwad was bowled first ball of the second over. Alagh and Konchada put on another 10 then Alagh was run out in the third over. Penjuri and Konchada took the Stars to the final score of 33 for two, Langwadt and ringer Rohit not being called on to bat. Lufthansa clearly thought winning would be piece of cake but did the Stars ever show them? Their first wicket fell in the 1st over, bowled Penjuri, caught, Gaikwad with the score on 7. Two runs later the second fell, caught Rohit, bowled Gaikwad. Five runs later, it was 3 down, caught Penjuri bowled Alagh. A fourth wicket stand of 9 was ended, LBW, bowled Konchada and their final wicket fell by a run out in the same over with the score on 25. MCC, 33 for 2 beat Lufthansa A, 25 all out by 8 runs. The second game was against Tegernsee who had been thrashed by Serendib in their first so it was an important fixture for both teams. Ringer Rohit was given permission to bat and bowl so Langwadt was asked to keep. 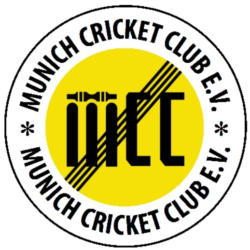 Tegernsee won the toss and asked MCC to bat who opened with Gaikwad and Konchada who put on 34 for the first wicket, Gaikwad falling for 12 in the 5th over. Langwadt scored his first run in anger outside the hall for MCC and we finished on 37 for one after five overs. MCC bowled very tightly, the first Tegernsee wicket, Chakry going first ball of the innings, well caught by Alagh off Penjuri. After two overs they were four for one down and after three overs 12 for one down and needing 26 off two overs. On came Ringer Rohit and perhaps the qualification to his bowling should have finished on “he cannot bowl”. His figures were 6 wides, 4 wides, 4 wides, a two a four and a single so Tegernsee needed 5 to win off the final over. 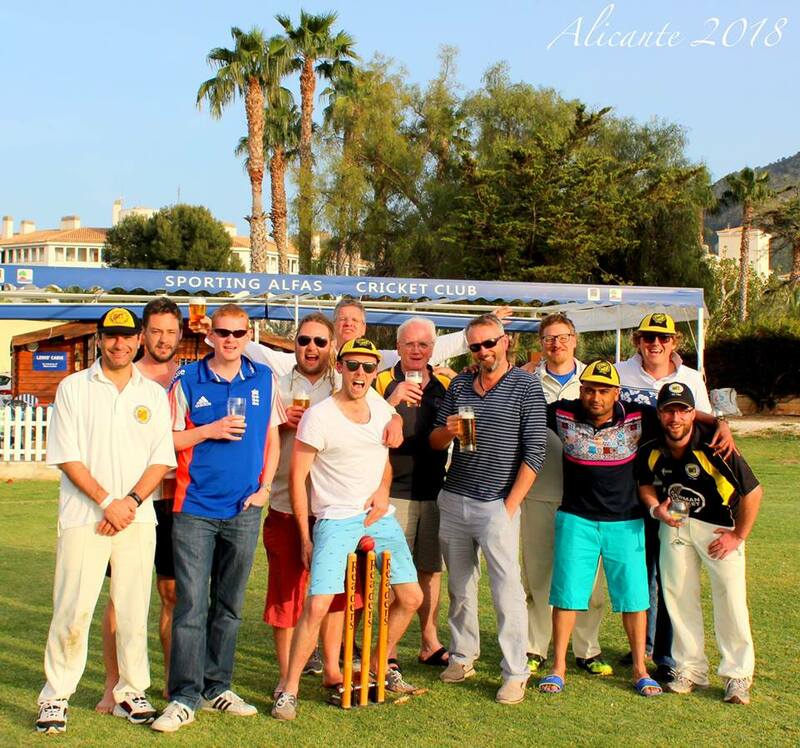 Captain Alagh duly obliged them with a full toss first ball and the game was over. If only we had asked Langwadt to bowl we would almost certainly have been guaranteed a semi-final place, but now we needed to thrash Serendib to go through. MCC, 37 for 2, lost to Tegernsee, 39 for 2 by 3 wkts. After a splendid curry lunch it was out again to face Serendib who also needed to win handsomely to be sure of qualifying for the semis. Captain Alagh won the toss and chose to bat, opening with Gaikwad and Langwadt who put on 14 for the first wicket before Gaikwad went caught in the second over. Langwadt and Alagh put on another 18 for the second wicket before Alagh was caught for five in the 5th over. Langwadt was run out for 11 four balls later and Penjuri was run out off the final ball going for a suicidal single. Balu, who was replacing Rohit as the ringer did not face a ball. Serendib were not going to make the same mistake as Lufthansa A and took us very seriously. Also our bowling probably suffered a little from the unexpected pressure and Serendib hit off the necessary runs in three overs with no loss of wickets. MCC, 37 for 4, lost to Serendib, 39 for 0, by 5 wickets. After an enjoyable day in the sunshine with a tasty lunch and some surprisingly good cricket. MCC drifted home rueing the fact that we were a player and a bowler short and dreaming of what might have been.